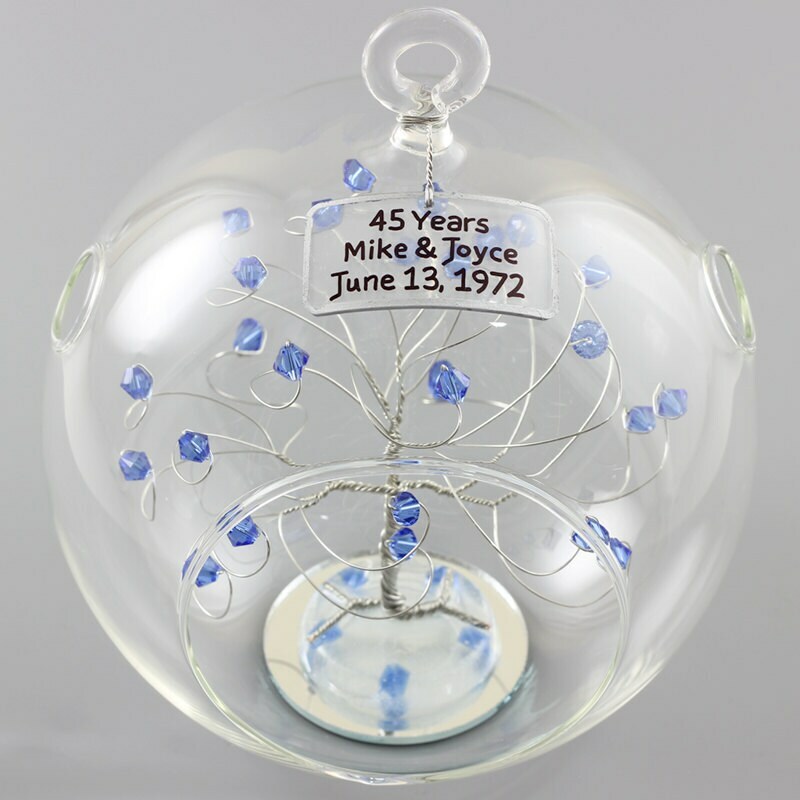 To order your 45th Anniversary Gift Ornament just add this listing to your shopping cart. 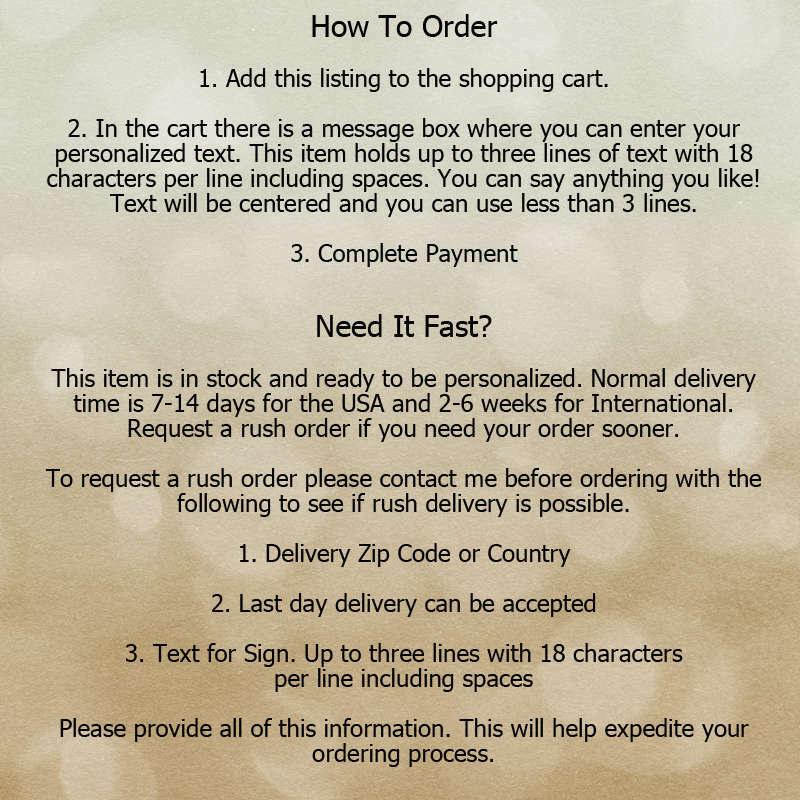 In the cart is a message box where you can enter your personalized text. This ornament accommodates up to three lines of text with 18 characters per line including spaces. You can say anything you like! Text will be centered and you can use less than 3 lines. 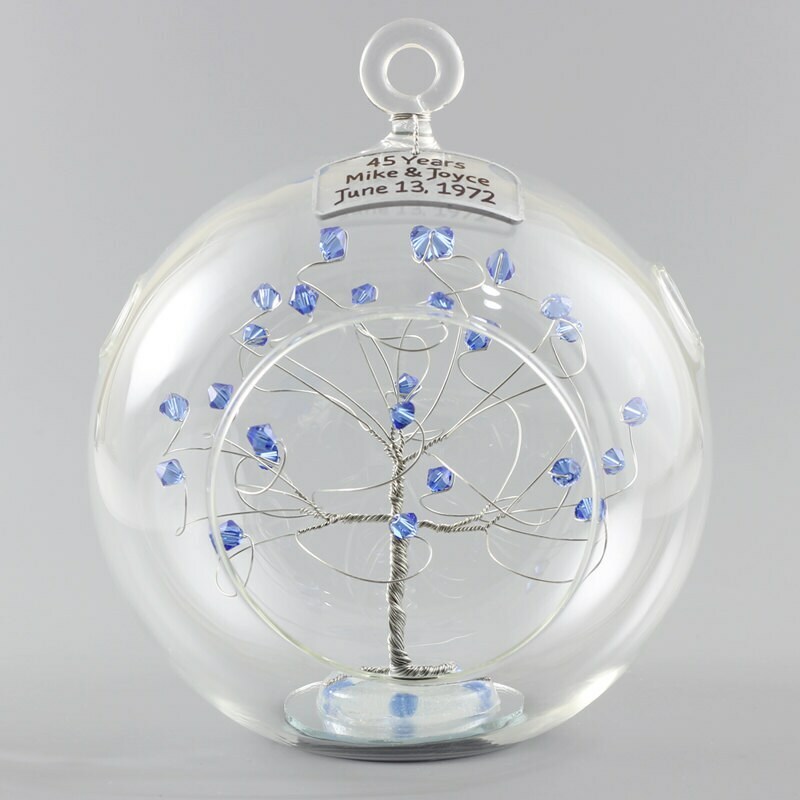 The 45th anniversary tree is created using genuine shappire swarovski crystal elements, silver tone wire, and a generously sized glass ball. The 5.5" hand blown glass ball features a flat bottom, a hanging loop, and has two holes at the top which are shown in the photos. Small variations and imperfections in the glass may be present due to their hand blown nature making every ornament unique. I love this ornament! I gave it to my husband on our 20th anniversary. The blue crystals were the color we used in our wedding. Unique! Beautiful! My parents loved it!